Protection of the biggest differences between the two products in the PN junction. OJ structure of the product, the use of glue to protect knot, then at 200 degrees temperature curing. P-N junction obtain protection voltage. 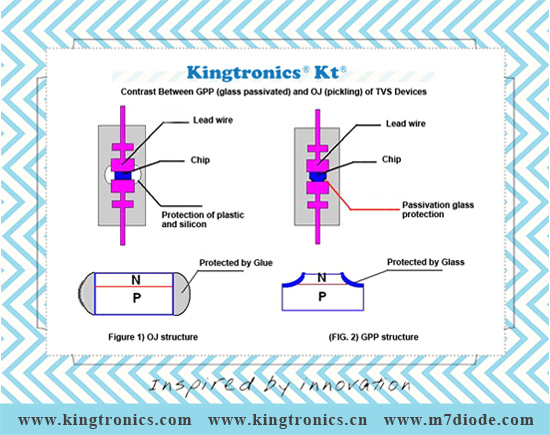 GPP structure of the product, the chip PN junction is under the protection of the passivation glass, sintered glass frit is 800 degrees around the melting, the glass layer is formed after cooling. This glass layer and melt into one chip, can not be separated by mechanical means. And OJ protection glue, just covering the PN junction surface. 1) due to the different structure, when external stress (for example, were angled handle), thermal shock devices, under the plastic package if there is leakage, so the situation. OJ products, the protection of plastic and silicon is not firmly bound to protect a bad situation occurs, the device appears certain failure rate. GPP product similar situation does not occur. 2) High GPP diode reliability. First, GPP at room temperature, leakage than OJ's going small. 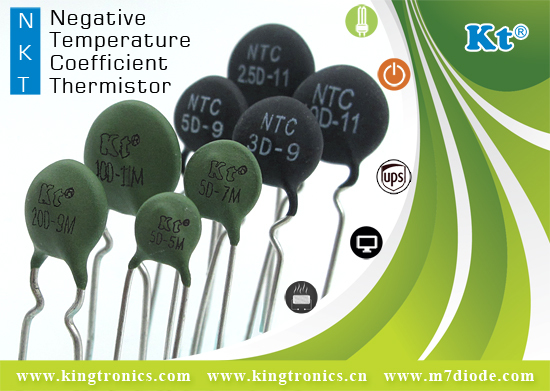 It is particularly important HTRB (high temperature reverse bias, is a measure of reliability of the most important symbol of parameters) GPP much better, OJ products can only withstand HTRB 100 degrees around. The GPP when the temperature reaches 150 degrees, still performed very well. OJ previously packaged products is limited to the axial DO series, so many customers are using on-chip package (SMD) products. Because chip product, then only use GPP chip package. But now, there have been a chip package OJ products. So be sure to pay attention to distinguish the selection.